Oh boy. 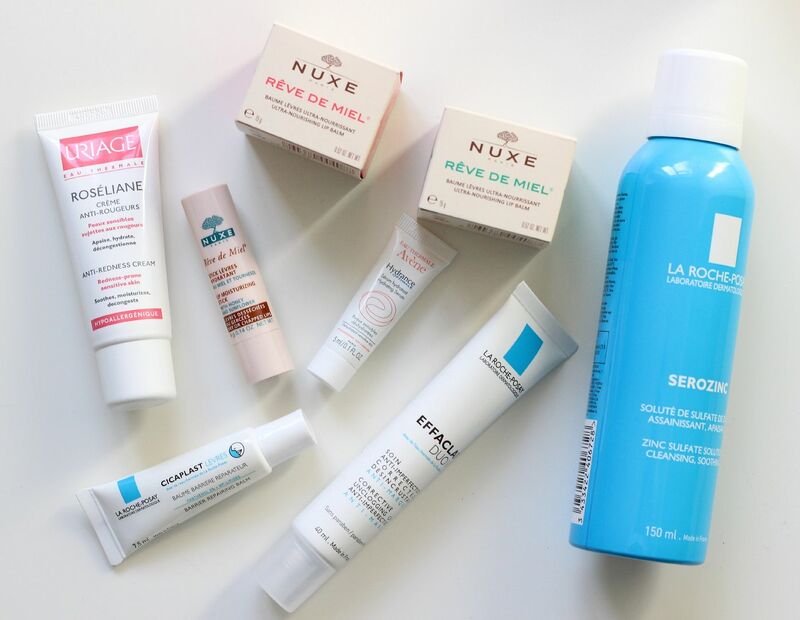 Some more French skincare. I just love how much the French look after their skin – it obviously works, because you see a lot of chic Grandmas floating around eating croissants and carrying baguettes. Honestly. My family grew up in a teeny tiny village on the swiss border, and as such my family all appreciates the awesomeness that is French skincare. We weren’t there last week for anything fun – but, I did manage to sneak off to the local pharmacy and stock up. I finally managed to pick up some of the famous La Roche Posay Serozinc. Huzzah! I picked up two bottles because I actually checked a bag in this time, and they’re only €6. I’m looking forward to trying it out properly and reporting back. So far, so refreshing and nice. Also from La Roche Posay I picked up a new tube of the effaclar duo + – I’d finished one before, but never got around to repurchasing, but as my chin had been in a mild state of skin peril, I thought it was a good time to do so. I’ve already noticed a difference, so I shall keep using it and repurchase it more quickly in future. The cicaplast lip balm is also amazing, it is one of the best lip balms I have tried thus far – so moisturising. Amazing. This one is living on my bedside table to use at night. 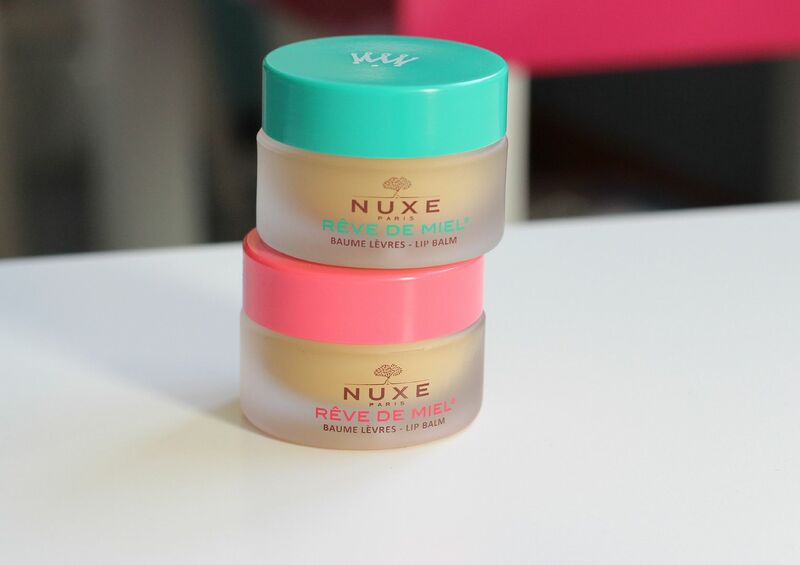 If you have dry lips, give this a go! From a brand I’ve never heard of – Uriage – I picked up an anti-redness moisturiser to try. I will always try anything that promises to cancel any redness. I was also given a sample of the Avene hydrating serum, so have been using the two together for the last couple of days. Lastly, Nuxe. Nuxe! Makers of my beloved reve de miel. I got one of the stick ones to keep in my bag, and two of the new coloured designs – the pink and the green. I think the pink means love, and the green one is happiness… my french is not so good. The new lids are so adorable – I wish they were always these colours! 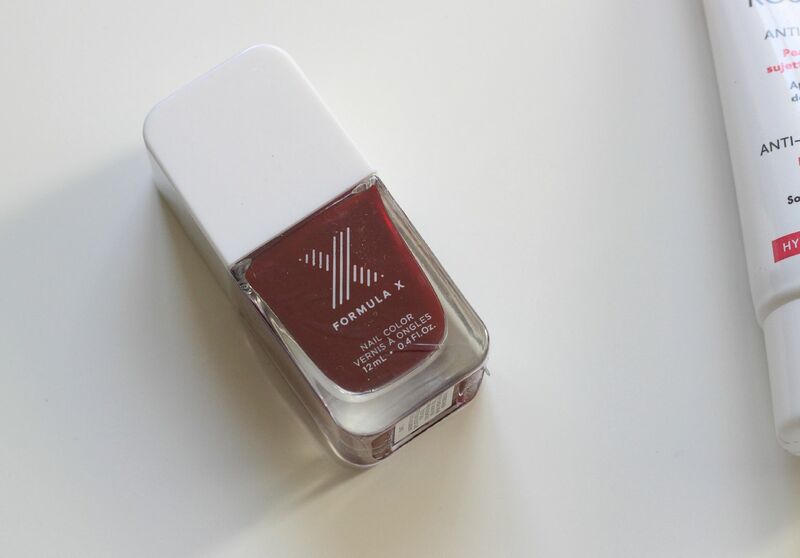 Not from a pharmacy, but I picked up the Sephora formula X polish in Ignite. Perfect for right now, and the formula X formula has not failed me yet.